According to WHO, 3.2 billion of the world’s population remains at risk of malaria. There is an urgent need to pursue targeted and multi-sectoral collaborative efforts to achieve such targets as reducing the rate of new malaria cases by at least 90%, eliminating malaria in at least 35 countries, and preventing a resurgence of infection in malaria-free countries. As the global health community renews its commitment to action against malaria, it is important to bear in mind that several groups of migrants, mobile populations and travelers remain at disproportionately high risk for malaria, including drug and insecticide resistance. Countries aiming for malaria free status cannot do so without addressing equitable provision of health services, including health education, accessible diagnosis and effective treatment for migrants, especially those living or working in endemic areas. “Population movement makes migrants and communities vulnerable to acquiring or introducing malaria at their places of origin, transit or destination. In addition, exposure to new strains of the disease in the areas they pass through can result in higher morbidity and mortality for migrants,” he added. Artemisinin-based combination therapy (ACT) resistance is also a growing concern, especially within mobile communities, and timely access of migrants to screening and treatment is of particular importance in preventing the spread and development of new resistant strains. 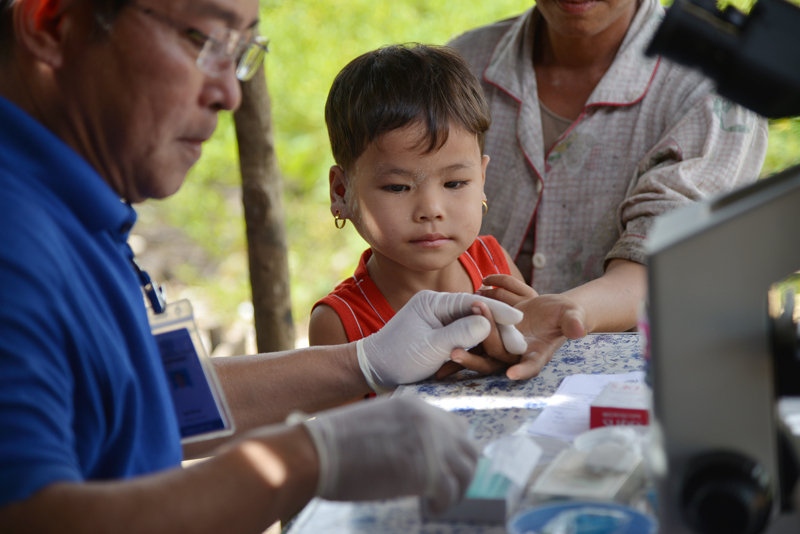 IOM has been implementing malaria programmes in several countries around the world, providing services to migrant beneficiaries and technical support, as well as capacity building for national and local partners. Examples include: provision of health education, long-lasting insecticide-treated net (LLINs) distribution, rapid diagnostics and treatment in nine Myanmar townships with high rates of migration and artemisinin resistance; malaria services along border provinces with LLINs distribution, capacity building for behavior change agents and community health workers in Thailand; mobility tracking for migrants in Vietnam; technical support to such initiatives as the Elimination-8 in Southern Africa; a new project in Paraguay with special focus on mobile populations and epidemiological services to avoid reintroduction of malaria. “IOM stands ready to work closely with WHO and other UN agencies, governments and NGO partners, as well as migrant communities and affected populations, to ensure that the needs and vulnerabilities of migrants and mobile populations are addressed in achieving the malaria targets,” said Dr Mosca.